Mastervending has a professional team of vending merchandisers for your full service vending machines. Our vending merchandisers are all specialized in “full line full service vending” = 1 single vending merchandiser for the loading and cleaning of all your hot, cold and snack full service vending machines. 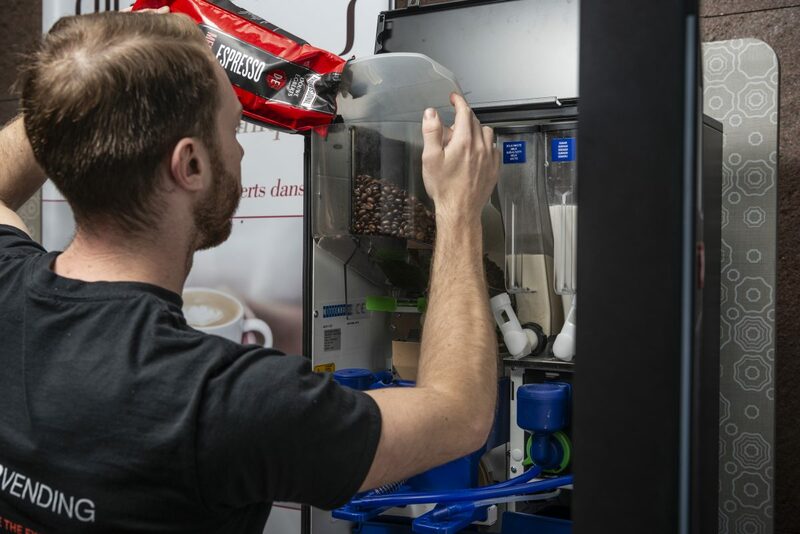 Mastervending provides regular quality checks by barista vending merchandisers. 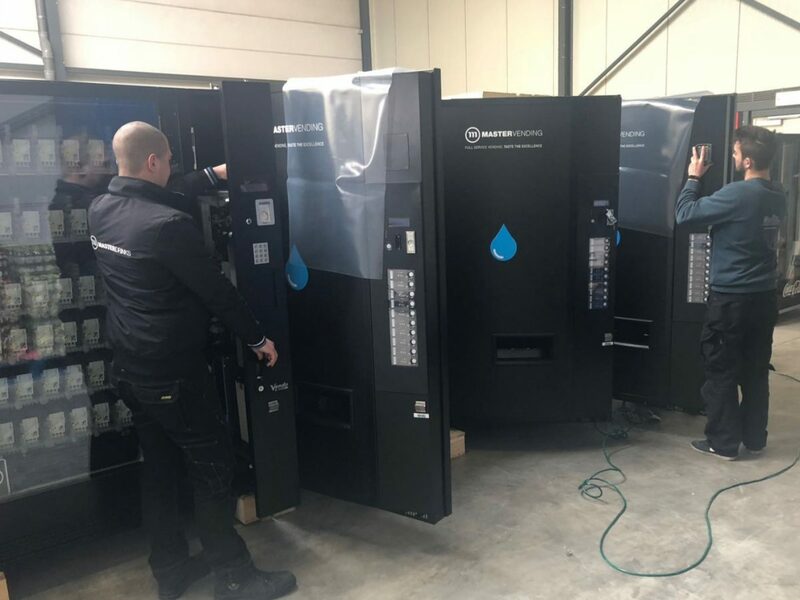 Mastervending provides a professional team of more than 30 highly qualified technicians for hot, cold and snack vending machines. 95% of the interventions have a “first time right” solution. Start-up of new full service vending projects by our own professional, well-equipped and flexible installation team. The Mastervending equipment is online with “state of the art” telemetry. 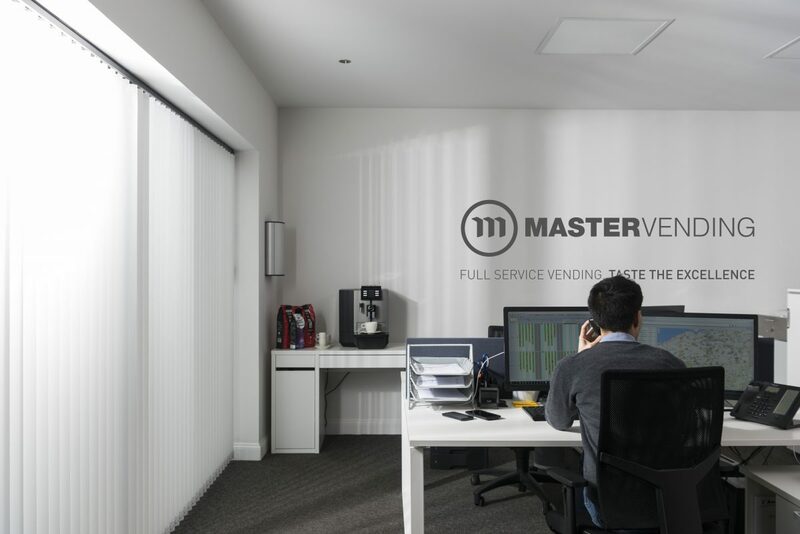 So Mastervending follows the volumes and technical issues in real time. 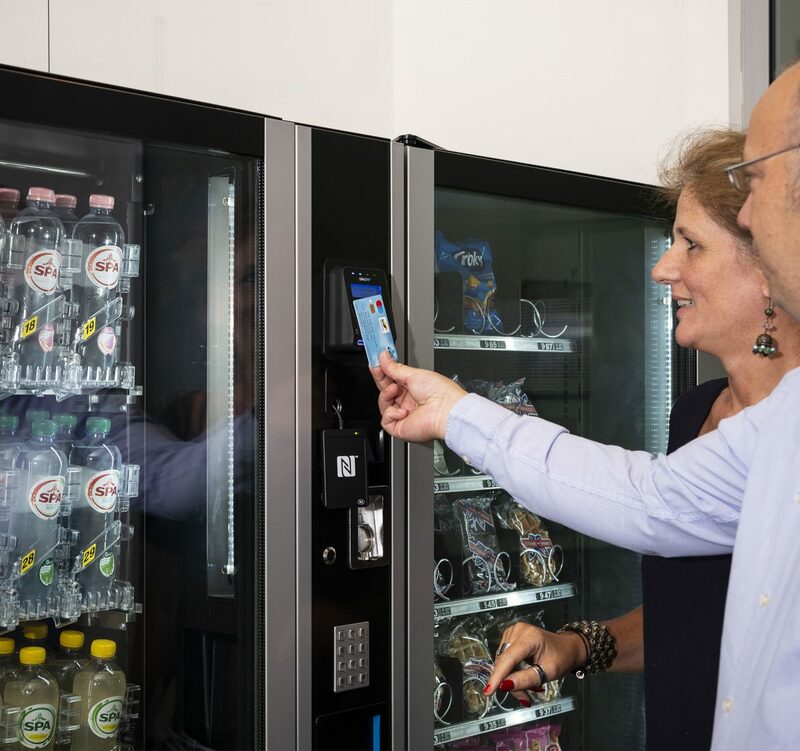 With their personal login, the Mastervending customer can connect to the telemetry system and will be perfectly informed about the full service vending machines in real time.